If both of you are interested in culture and history, plan a day at the museum. Not only would both of you love what you are doing but it will be the start of getting to know each other better. Sounds interesting, right? This works for animal lovers particularly. Doling out affection for shelter dogs might break the ice faster. This is perfect even for double dates. Whether you have an Xbox or Nintendo Wii, it is a good way to spend time together and yet have fun. Set a small budget and then go thrift shopping. Challenge each other to the best that the money can buy. And then take pictures in the clothing that you bought! You can have your romantic moment together with the sunset over the river, from the top of a building or even your apartment window. Why go out? Cook a dinner together and enjoy the whole experience. A little informal way to start your first date but you’ll know more about each other by the end of it. Meet at the specific time and then just go cycling or swimming or even rollerblading. 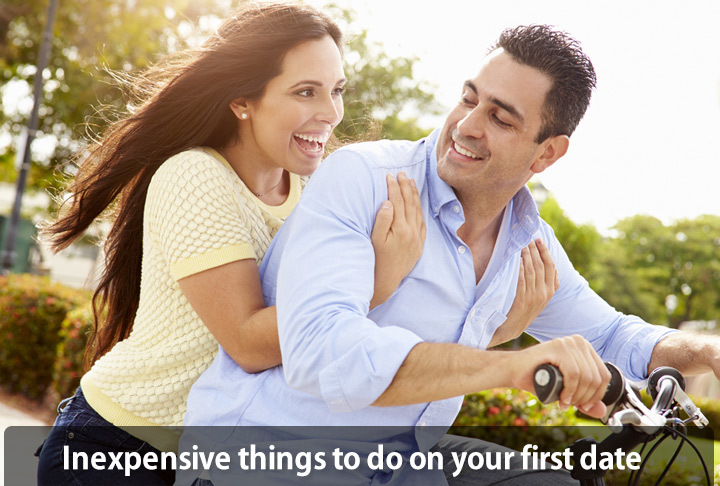 There are plenty of places where you can do that and you’ll be surprised that both of you will enjoy the activities.Dating doesn’t mean wearing fancy clothes and spending a lot of money. It is a good way of meeting and knowing more about the persona that interests you.